Auditions for the KAI Summer Production of MAMMA MIA! will be held on May 17h and May 18th. Performances are July 12 - 14 and July 19 - 21, 2019. Friday and Saturday performances are at 7pm and Sunday performances are at 2pm. Tuition for actors is $50. Rehearsals and performances take place at Kaneland High School, 47W326 Keslinger Road, Maple Park, IL 60151. Singing - an accompanist is provided. Please bring sheet music in your appropriate key. 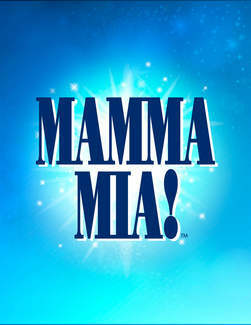 PLEASE NOTE THIS INFORMATION: If you are cast in KAI's MAMMA MIA!, please plan on attending our 1st company meeting and read thru on Tuesday, May 21st in the Kaneland Auditorium at 7:00 pm. Please write the name(s) of the person(s) auditioning in the comment section.